Experience the Magic of Monarchs! Experience the Magic of Monarchs at our vacation rental near Yellowstone National Park. View On AirbnbMonarch Garden Inn- Wi-Fi, View, AC, Yellowstone! Later, discover the wonders and wildlife in Yellowstone National Park. We offer Free Travel Planning! Learn from professional wildlife photographers. We are located 30 minutes from the historic Roosevelt Arch at the North Entrance. Our home is also 10 minutes to Chico Hot Springs for gourmet dining, swimming in the hot springs pool, massages and pampering at the Day Spa, horseback riding, and the historic saloon, as well as several Yellowstone River fishing access points along Hwy 89. We invite you to book your next vacation and join us at the Monarch Garden Inn here in Montana. We are eager to share our extensive knowledge of the Park and our success saving Monarchs so you can come to love and hopefully help Monarchs in YOUR hometown, too! Can't join us in Montana? For easy tips on planting milkweed and growing your own Monarch Waystation, click here. Now that you know what inspires us, let's focus on what inspires YOU. Are you looking for museum-quality wildlife photography for that special place in your home or office? We invite you to visit our Fine Art Gallery. Choose from over 1,000 wildlife and nature images here. You are also invited to check out our fun Monarch Garden Inn Gift Shop. Choose from men's and women's apparel, children and infant apparel and gifts, bags, hats and accessories, home and drinkware gifts, plus wall decor and stationery. We also offer images with funny captions including the "I AM Smiling!" and the "Bald is Beautiful" Bald Eagle Collections. Aviation buffs will love the "Final Approach" Collection, with its riveting "Flaps Down...Gear Down...Cleared for Landing" caption. Thanks for caring and supporting our work! In October, 2005, the Keelers were given the honor of being selected as two of the 40 founding members of the International League of Conservation Photographers. The ILCP was initially founded with 40 Fellows considered to be some of the most talented and passionate nature and wildlife photographers of our generation. "If you are looking for a place that is convenient to Yellowstone and the airport, this place is situated perfectly." "This place is an amazing hidden gem in Emigrant! Beautiful view, great location, and the hosts are so personable and fun! I loved all of their pictures, we watched all of their slideshows and they were just beautiful. Highly recommended!" "I have stayed at a LOT of AirBnB's, and Dorothy and Leo are by far the best hosts I have ever had. they are incredibly warm and welcoming. We suffered a serious setback during our trip and they went out of their way to help us get back on our feet." "Our experience at Dorothy and Leo's home reminded me why I choose AirBnB: excellent hospitality and communication, and a beautiful place that tells a unique story." "Dorothy & Leo certainly know how to be great hosts among other many talents that they have. They not only have a beautiful, comfortable home but they also share their knowledge of how to be environmentally conscious so that the world is left in a better place." "Dorothy and Leo are amazing hosts! Their home in Emigrant was in the perfect location to spend several days in Yellowstone." "it was very heartening to meet warm personalities like Dorthy and Leo. everyone was touched by your effort to conserve the monarchs. " "Dorothy & Leo were great host, they took care of even the smallest details. The place is very beautiful and the views are amazing." "Dorothy and Leo are perfect Airbnb hosts. They are warm and welcoming and their place is beautiful. Highly recommended!" "Possibly THE best airbnb stay we have ever had. Leo and Dorothy are extremely welcoming and the space is all we could ask for." "Dorothy and Leo's place is absolutely stunning nestled in the rolling hills with the majestic Emigrant Peak in the background." "Dorothy and Leo were warm and welcoming! We enjoyed our stay very much and would recommend their place." 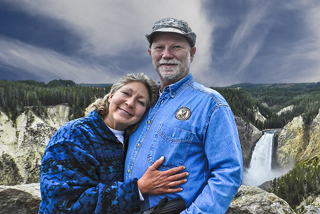 "Dorothy and Leo were excellent hosts whose knowledge of and passion for the wildlife in and around and Yellowstone helped us have a fantastic first visit to the area. " All images are registered and protected by copyright laws. Written permission from the photographers,and payment of a licensing fee, is required prior to any publication or use. All rights remain with the photographers and are fully reserved.